Honors for Nursing is the only event of its kind that brings nurses together from around the state of Utah to celebrate one another's accomplishments. 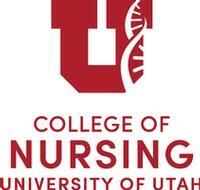 It is an annual event held each spring during National Nurses Week in conjunction with Florence Nightingale's birthday and is hosted by the University of Utah College of Nursing Alumni Board of Directors. Honors for Nursing began in 1994 as a small gathering of honorees in the College of Nursing lobby. Thanks to the generous support of past sponsors such as University of Utah Health Care, Intermountain Healthcare, Steward Health Care (formerly known as IASIS), MountainStar Healthcare, Solstice Home Health, Hospice, and Palliative Care, Zions Bank, Merit Medical, Savage Industries and many others the event has grown every year. Now several hundred nurses are honored each year. This event also raises scholarship funds for students at the University of Utah's College of Nursing. In this way, Honors for Nursing uniquely supports past, present and future nurses in Utah. Click HERE to view the event flyer. Deadline to Honor a Nurse has been extended to Friday, April 26th. Please be aware this form will close Friday, April 26th at 5pm MT. Upon completion of form, the nurse honoree will receive an email notifying them of the honor with your comments and will be asked to RSVP for the event online. Each nurse honoree will receive a 3-course dinner, a certificate (see example) and gift at the event when they RSVP by April 26th. If they are unable to attend they will be sent their recognition certificate. As the one honoring a nurse, nominators may also attend the dinner at a cost of $50 and be there to see their nurse honoree receive recognition. Each guest in attendance will receive a 3-course dinner. You will also have the opportunity to purchase a guest ticket at $55. If you are not honoring a nurse, you may join us in celebrating nurses by purchasing a ticket. Each guest in attendance will receive a 3-course dinner. You will also have the opportunity to purchase a guest ticket at $55. Parking instructions will be available at a later date. Thank you for honoring someone from the nursing community. You are welcome to join us in celebrating nurses by purchasing a ticket for the evening gala for yourself. Each guest in attendance will receive a 3-course dinner. Please select the number of nurses you would like to honor. *If you are not honoring a nurse, only attending the event, please leave the quantity of this item as "0." If you would like to provide a donation to the College of Nursing, please select the desired number of $5.00 donations from the drop down field. Donations are calculated in $5.00 increments. These additional donations are 100% tax-deductible and will go directly to student scholarships. If you would like to provide a donation to the College of Nursing, please select the desired number of $10.00 donations from the drop down field. Donations are calculated in $10.00 increments. These additional donations are 100% tax-deductible and will go directly to student scholarships.